SOULCALIBUR V is the latest entry in the premier weapons-based head-to-head fighting series. SOULCALIBUR V takes place 17 years after the events of SOULCALIBUR IV and continues the epic story of warriors in search of the legendary Soul Swords in 17th century Europe. The heroic battles transpire in a beautiful and fluid world with eye-popping graphics and visual appeal. SOULCALIBUR V tunes the battle, movement, and visual systems so players can pull off cool dynamic attacks with ease and battle with complete freedom. 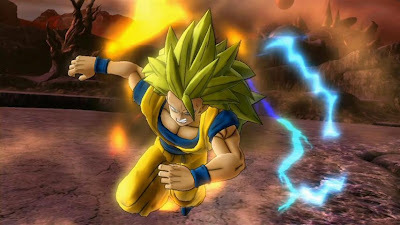 The most visually-stunning Dragon Ball Z game created! Wow. A racing simulation game for Android! Android Gaming is the Best! I love this little green guy!